When was the last time you saw a commercial for a coffee brewer that both made you chuckle and enticed you to buy the thing the company was selling? 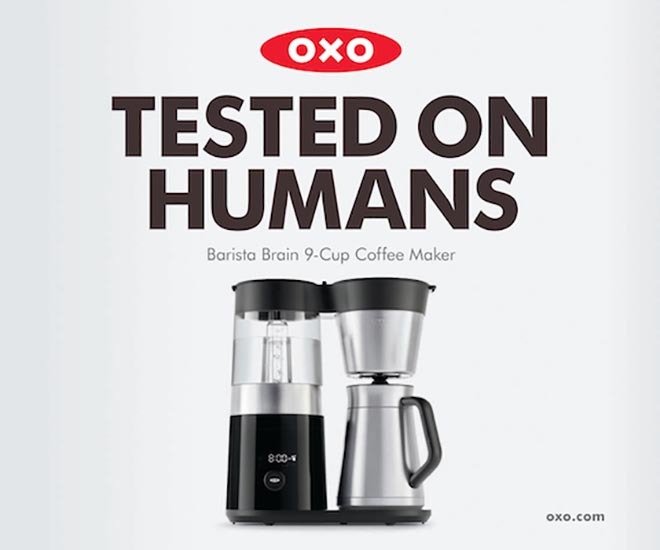 OXO may actually be doing that now with their campaign, Tested on Humans. The ads are subtly humorous and make a clear point about the produce. 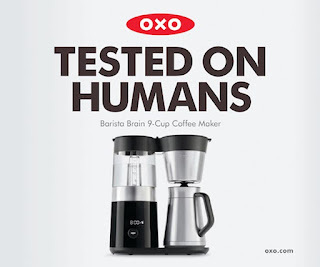 But, the biggest takeaway from the campaign is that OXO is pronounced "Ox-oh".